Your Organic Markets. New online store is open! Your Organic Markets is doing new things to make organics significantly more affordable! We have always been focused on fresh provisions and cottage industry – trendy expernsive 'health' products is not our game! Our core offering is fresh provisions from cottage growers and small manufacturers DIRECT – a no frills offer of food and groceries that you need every week. We are in our 5th year since starting in our garage, and we have learned our customers want to eat more organics. You can only eat more organics if it is more affordable right? Our food mission has always been based on low margins because we believed in making organics more affordable. We have always rejected a profit-focused (i.e. profiteering) corporatized model for organics because it undermines the real mission of organics - it limits access to organic foods and products, hurts the supply chain (i.e. especially smaller farmers as they are cast aside by distributors for the bigger players who end up dominating the market with expensive products), and it lacks the integrity of authentic organics. In our pursuit for a model to make organics more accessable and affordable we created a new MEMBERSHIP collective-type model which makes it much more affordable to incorporate A LOT MORE ORGANICS into your weekly grocery list. Now, from our already keen prices, you can achieve BIG DISCOUNTS by becoming a MEMBER! Check it out Membership information! MEMBERSHIP (COLLECTIVE-STYLE) MODEL ACHIEVES REAL AFFORDABILITY FOR ORGANICS! 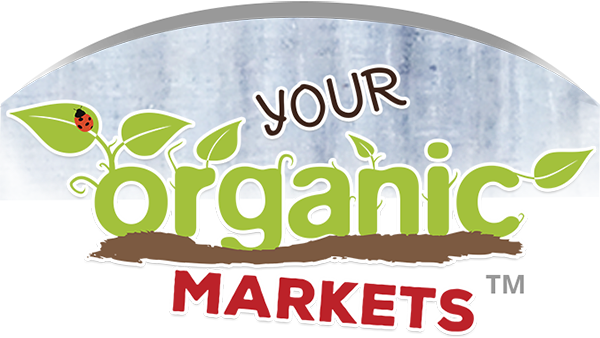 Your Organic Markets parters with Organic Farms Market also part of the Your Organics Group, which are OFC certified organic wholesalers and farm agents. It means that we are able to buy DIRECT from growers and offer an authentic low pricing with Your Organic Market's members as a collective type membership. It works because the focus becomes not retail, but wholesale as a business with volume sales coming through the members. You can save a lot just like one of our SAVER 15 members who saved over $2,300 in 2017 and is still saving over $50 each week this year on her weekly organic shopping with Your Organic Markets. The most common feedbacl from our members is that we are cheapest and best quality around. We have always strived for both these attributes. We don't have high pricing on products as a false starting point to justify a further discount. Bottom line? As as a member you can get much more for your budget in organics with any of our Membership programs and you support cottage growers and small manufacturers which is our food mission! Want to know more?